Straight, white, healthy teeth are associated with youth while a crooked, discolored, and damaged smile is associated with age. According to research, stains can add as much as five teeth to your natural age. If you want your smile to look years younger and brighten your whole face, consider cosmetic dentistry. The right preventive and cosmetic dental care can keep your smile healthy and youthful throughout your life. Brush and floss daily to keep disease-causing plaque and bacteria under control, and visit us at least every six months for a professional cleaning and checkup. Periodontal disease is a common problem for older Americans and the leading cause of tooth loss in those over the age of thirty-five. It begins when the bacteria that live in plaque attack the gums, and your body responds with inflammation. Your gums might look red and swollen, or bleed when you brush or floss. Call us to schedule a cleaning so that we can address it as soon as possible. Cosmetic treatments are not the right choice for everyone, but they can be a great option for many patients. Teeth whitening treatments can erase stains, orthodontic treatments can straighten teeth, and dental bonding and porcelain veneers can conceal an array of flaws. The right cosmetic treatments can revitalize and transform your smile almost overnight. 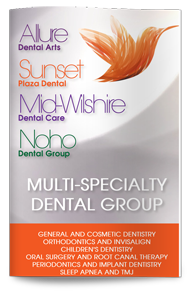 Call our office today to learn more or to schedule your next dental appointment.